Be the first to review this 2019 Honda Pilot. The popular Honda Pilot is the most vanilla of full-size family crossovers while being among the most versatile of them, or at least the most versatile of all Hondas. It does everything with competency, including seating up to eight passengers. The strengths of the 2019 Pilot include an engine worthy of a luxury car, a soft ride even on rough pavement, crisp handling, vast cabin space, and safety. Now in the fourth year of its third generation, the Pilot’s styling gets updated for the 2019 model year. More significantly, active safety equipment becomes standard on all models. Other changes include new wheels, a new available infotainment system with an actual volume knob, and some improvements to the 9-speed automatic transmission. All Pilots use a smooth 3.5-liter 280-horsepower V-6. Front-wheel drive is standard, with all-wheel drive available; additionally, there’s an optional traction management system to improve grip in snow or mud. It can tow up to 5,000 pounds with all-wheel drive. The basic LX, EX, and EX-L trims use a stout and smart 6-speed automatic transmission, while Touring and Elite (with standard all-wheel drive) models use a 9-speed automatic that isn’t as decisive as the other transmission. There’s no hybrid powertrain available and fuel economy is just average. With front-wheel drive and the 6-speed automatic, the Pilot is rated by the EPA at 19 miles per gallon City, 27 Highway, and 22 Combined; that drops to 21 mpg with all-wheel drive. The 9-speed transmission improves that by about one mile per gallon. The 2019 Pilot aced its crash tests. Standard automatic emergency braking, adaptive cruise control, and active lane control match the equipment found on rivals from Toyota and Subaru, and better that of American competitors. The 2019 Honda Pilot comes in LX, EX, EX-L, Touring, and Elite models, but with mechanical equipment choices and trim levels, the price sheet shows 13 models. The base LX ($31,450) comes standard with cloth upholstery, air conditioning, cruise control, seven-speaker 200-watt sound system with 5.0-inch color touchscreen, USB port, 17-inch wheels, Bluetooth with audio streaming, and Apple CarPlay and Android Auto compatibility. As with most models Pilot LX is available with all-wheel drive for $1,900 more. The Pilot EX ($34.330) upgrades with three-zone climate control; a power driver seat; a right-side camera; satellite radio; remote start; two more USB ports; and Pandora audio streaming and texting capability. EX and EX-L trims get a larger 8.0-inch display and the Android-based Display Audio interface, with its big tiles and icons and generally friendly operation. Pilot EX-L ($37,760) sports leather; a power tailgate; a power moonroof; heated front seats; and the one-touch second-row seat. Pilot Touring ($42,820 for 8 seats, $42,520 for 7) ) and Pilot Elite AWD ($48,020) come with a 10-speaker, 540-watt premium audio system. Pilot Touring models adopt more advanced safety technology; Blu-ray DVD entertainment; a navigation system; 20-inch wheels; memory seats; parking sensors; two more USB ports, for a total of five; ambient lighting; stop/start for improved fuel economy; and a 115-volt outlet. The 2019 styling changes aren’t dramatic, but they are noticeable. There are new LED headlamps, along with a new grille over a faux skid plate. In back the taillights have been tweaked and chrome has been added. The Pilot’s profile features soft corners and rounded fenders, a somewhat organic two-box shape that falls between a crossover like the Ford Explorer and minivan like its sibling the Honda Odyssey. It balances glass and metal better than many competitors, for example the Chevy Traverse, and stays away from the rugged look of crossovers like the Dodge Durango. With bare black plastic trim on the LX, it looks fairly clean. But it looks like it belongs in a mall, not on a mountain pass. The cabin is subdued, with subtle shades of tan and gray, low sheen, and few bold spots. The LX uses a 5.0-inch touchscreen; the glossy 8.0-inch screen in EX and above better fits the bill. It’s neatly organized and very well finished. It’s also very airy, with a generous amount of glass, from tall side windows to an available huge panoramic roof that floods the cabin in natural light. The controls and storage in front are usefully placed and arranged. The steering wheel has round controls to operate the driver’s smartphone and the car’s audio system. A shallow bin in front of the deep cupholders holds a smartphone right next to a high-power USB port. A sliding lid covers the deep center console. Comfort is excellent. The seats are well bolstered, with good definition, on the EX-L models and higher. A high driving position gives a commanding view out of the vehicle even for short drivers. Second-row seating is a split-folding bench or a pair of captain’s chairs on upper trims; between those buckets is a floor-mounted tray with cupholders. On EX-L and above, a power button folds forward the second-row seats and slides them forward. The floor is low and there’s room to climb back to the third row, although it might be a tight climb for adults. Once they’re back there, there’s an amazing amount of space. Head and leg room are as good as we’ve ever seen, although the seat cushion sits on the floor. Honda’s audio and infotainment systems aren’t the best; the Apple CarPlay and Android Auto interfaces are easier to use. The Pilot’s navigation system is Garmin-based, and includes live traffic reports, 3-D map views, and on-the-go rerouting. The 3.5-liter V-6 makes 280 horsepower and provides good thrust for this 4,200-pound vehicle (considerably lighter than some rivals), along with the refinement of a luxury-car engine. Wound up toward redline, it has a lovely engine note that underscores Honda’s legendary reputation as an engine builder. It can move the big crossover from 0-60 mph in less than seven seconds, and has the torque to tow 5,000 pounds with all-wheel-drive, or 3,500 with front-wheel drive. The LX, EX and EX-L use a 6-speed automatic transmission, while the Touring and Elite get a new 9-speed automatic, which brings one more mile per gallon. We prefer the 6-speed. It has a narrower spread of gears (first gear is higher and sixth gear lower), making it a bet less quick from the start and a bit less relaxed on the freeway, but it shifts more cleanly. It’s very smart, always a step ahead. That’s the opposite of the 9-speed, which sometimes hunts for the correct gear. Still, it’s been improved for 2019, as it now starts in second gear in most situations. A smooth ride might be the Pilot’s best feature. It’s compliant and plush, and takes big bumps in stride, whether with the 18-inch wheels on most models or the available, flashy 20-inchers. The Pilot rides on an independent suspension, struts in front and multiple links in the back for precise body control. The Pilot also uses its brakes to help corner better, by applying an inside front brake in tighter corners. The Pilot’s steering is quick and responsive, but still relaxed. The AWD system can send up to 70 percent of power to the rear wheels, and further split the power between them using electronic actuators and hydraulic clutches. It all happens quicker than you can think. On dirt roads, the Pilot is above average, thanks to more ground clearance than most rivals (7.3 inches) and a four-mode traction control system that is standard on most models. It’s like the system on the Land Rover Discovery Sport and Ford Explorer. It requires no driver intervention. The driver chooses Normal, Snow, Mud, or Sand and the system does the rest, including things like starting in second gear, speeding up throttle progression, holding the car on a hill, or disabling traction control. It performed well in the sand, during our testing time. 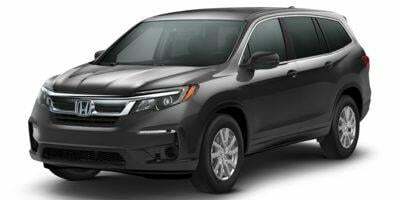 It’s hard to find more value, versatility, features, and mechanical refinement in a full-size family crossover than in the 2019 Honda Pilot. It nails just about everything, from engine to suspension to cabin to safety.